Aranmula Kannadi Price – How it is determined? Aranmula kannadi comes in various prices. it starts from INR1500/- to 12,50,000/- or even more. well, how the prices of aranmula kannadi is determined, and what are the factors in pricing? – Everyone may be interested to know it right? 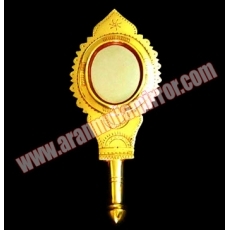 Basically the price of aranmula kannadi is determined by the size of the mirror part ( reflective part). the size measuring in diameter. if we say 2.5 inch kannadi, it means the reflective part ( mirror part) of aranmula kannadi is in that diameter. Also, the size and design of the frame also influence in the pricing. the size and weight of the frame along with the design and art work in the aranmula kannadi frame decides the price. more big frame with more works costs more. Even a very small aranmula kannadi will take 3-4 days to finish its basic shape, and additional days needs to polish and adding the art works. so the total labour cost involved in making the aranmula kannadi determines the price. Remember – Aranmula kanandi is 100% handmade. no machines are using for the making. so its pure manual effort to make every aranmula kanandi from start to end. so this is very unique and every aranmula kannadi is different from one other. We are happy to announce a number of new Aranmula Kannadi models related to the Onam season. We’ve spotted one photo of actor mohanlal with legendary Navodaya Appachan. In that photo Appachan was giving his movie camera, which is taken the very first shot of the great actor Mohanlal. there were lots of awards showed in the showcase in that photo. we spotted one aranmula kannadi among those valuable gifts. we are sharing that photo with our buyers. How to buy Original Aranmula Kannadi? How to buy aranmula kannadi? Many people are asking this same question everyday. we are getting so many calls asking from where I can get the aranmula kannadi? or how can i get one? And many people calling from various cities like Bangalore, Chennai, Mumabi, Delhi, Kalkatta, Pune etc..wanted to know in which shop this aranmula kannadi is available locally? We like to answer these questions in this post. Basically Aranmula Kannadi can buy from two places. One is come to Aranmula, and get from our workshop / showroom there. 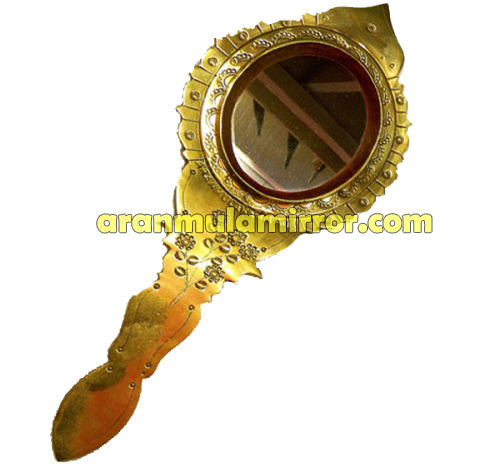 and the second choice is Buy from our Aranmula Mirror Online Shop. ( URL : http://aranmulakannadi.net ). We only recommend the above two methods, and we won’t recommend any other methods, since we can’t assure the purity and originality of the aranmula kannadi you are getting from any other local shops in your city. We don’t have any approved dealers anywhere within the country or abroad. In case if you have any queries about the shops / placed you found a aranmula kannadi, you can contact us and ask for the clarification . You can always mail us and ask. our mail id is: aranmulamirror@gmail.com. Always make sure that what you are buying is an original aranmula kannadi. don’t get cheated by the imitations. Only the mirror which you are buying from our Aranmula Kannadi online store is subjected to the lifetime warranty. The wonder mirror without glass – the Aranmula Kannadi has been a long-standing reflection of the State’s rich metallurgical traditions. The takers for this fascinating mirror have only been increasing each year. However, artisans willing to carry on this unique craftsmanship are on the decline. In an effort to popularise this tradition, an exhibition of Aranmula mirrors is being held at the SMSM Institute in the city. “The exhibition is a way to promote the artisans and encourage their efforts,” said K.J. George, an official at the institute. The mirrors displayed come in various shapes and sizes. The frames are shaped in the form of swans, sun, conch, and lotus and the traditional ‘valkannadi’. Hand-held mirrors, mirrors on stands, and those for decorating walls are available. This hand-made metal-alloy mirror is said to be an alloy of copper and tin, which is polished for several days to get the end product. The price for the mirrors ranges from Rs.1,600 to Rs.55,000. Theshow will end on March 31. Valkannadi – What is special about it? Valkannadi – or the hand mirrors are got a very special place among the aranmula kannadi models. 7 out of 10 requests we are getting everyday is of valkannadi’s. Though several models of aranmula kannadis are available, this has got a very good reputation among the models. Valkannadi is a very traditional model of aranmula kannadi. During the early ages, the aranmula kannadi’s were made only in one model, which is valkannadi. the ladies used this valkannadi to admire their beauty, during the royal ages, and valkannadi is the most important thing in the auspicious ‘Ashtamangalya’ set. And another fact is, the valkannadi resembles the goddess laxmi, means the goddess of wealth and prosperity. It believes that keeping an aranmula kannadi in home will invite the goddess lekshmy to the house, and that brings the wealth and prosperity to the house and its people. The King Khan of Bollywood with Aranmula Kannadi . Aranmula Kannadi is the very unique and special mirror in this entire world. We made this special mirror exclusively for Sharukh Khan. 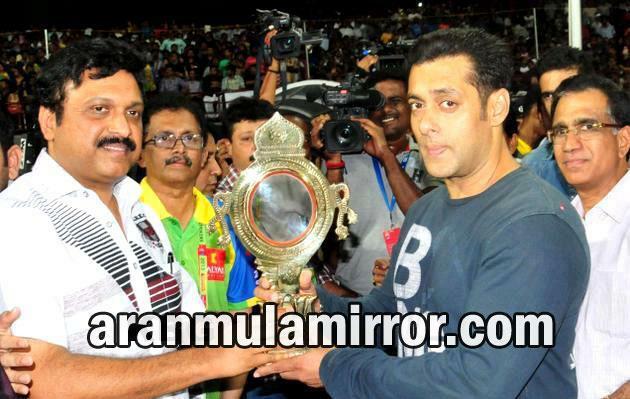 Great to see the king khan of Bollywood with the King of all gifts – The legendary Aranmula Mirror. Constructed according to specifications taken from the Sthapathya Veda, an ancient treatise for the building of wooden boats, these boats are anywhere from 100 to 138 ft in length. With the rear portion towering to a height of about 20 ft. and a long tapering front portion, it resembles a snake with its hood raised. Its hull is built of planks precisely 83 feet in length and six inches wide. Here is the photo of Aranmula Palliyodam. we – aranmulakannadi.org – a website dedicated for providing useful information about aranmula kannadi, is now featuring another traditional and precious handicraft of kerala. This time we are featuring NETTUR PETTI or NETTOOR JEWEL BOX. World famous Nettoor petti’s are exquisite jewelry boxes harks back to a vintage era.The nettoor boxes are now rated as a collector’s item, are fashioned out of rosewood (eeti) and countrywood. After the boxes are made, they are embellished with metals. The design of the ornamentation work on the exterior of the nettoor pettiis inspired by the temple architecture of Kerala. The usual designs are adaptations of the gopurams of the temples or the chithrapootu, which is also known as manichithrathazhu. Themanichithrathazhu motif became popular after the Malayalam film by the same name ran to packed houses. You can buy Authentic Nettur Petti /Nettur Jewel box from greatindiancrafts.com.